Earlier today, Aunt Arctic made a special appearance on Club Penguin Rewritten, however is also fortunately confirmed to return again before the Penguin Play Awards ends! When meeting her, you could obtain a new background themed around the Penguin Play Awards! Whilst I mentioned this in my previous post, I decided to share the actual design of the background, which looks really cool! This is how the background looks like. 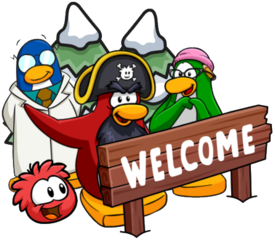 Along with this, NoFriends kindly allowed me to publish how the background looks like when there is a penguin in-front of it! It looks incredibly cool, and hopefully there will be plenty more chances to obtain it! 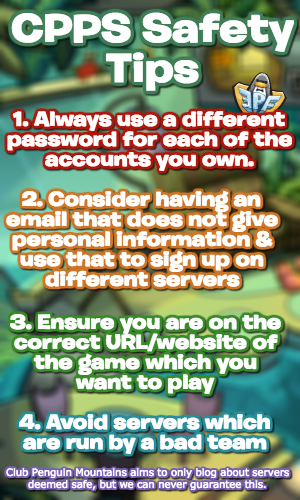 Be sure to check out the Aunt Arctic tracker for an increased chance in meeting her! Thank you very much for reading, waddle on!